A black and white photograph of the St. Thomas Anglican Church Rectory. 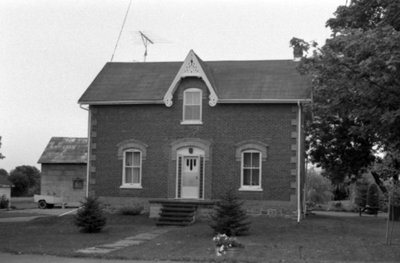 The St. Thomas Anglican Church Rectory located at 107 Winchester Road East was built in 1879. St. Thomas Church Rectory, July 1975, Brian Winter. Whitby Archives A2013_004_031B.